It’s been a good year. 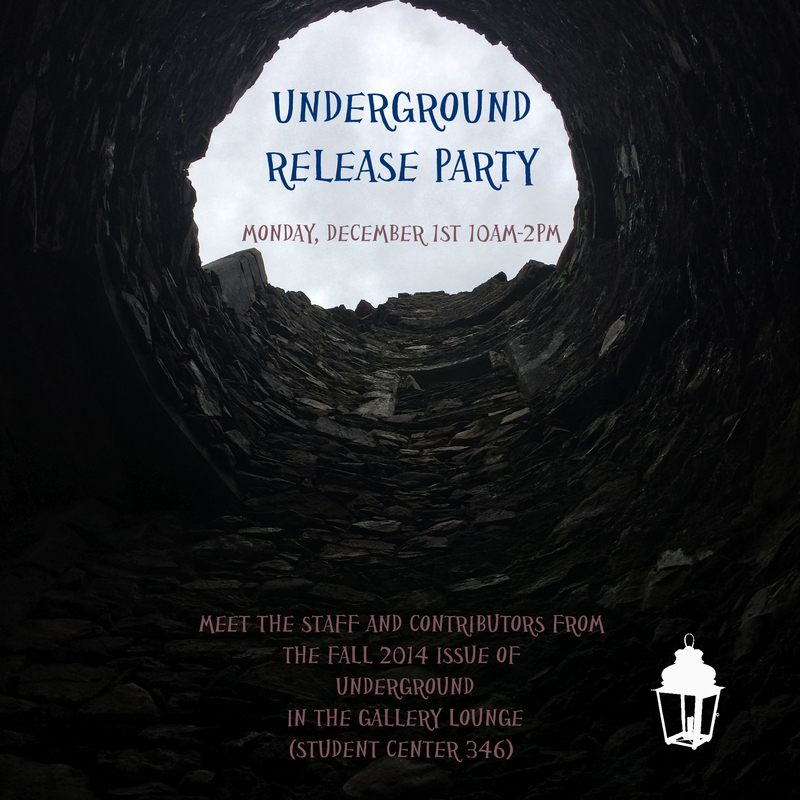 Underground has grown significantly and, with your readership and support, will continue to grow. We are proud to announce our first online and print issue. We thought it was only right, since the journals are still printing and will not arrive in time for the release party today. I write in hopes that you will celebrate with us anyway. Today means a lot to our staff: considerate beings who have shuffled through emails, attended way more meetings than usual, and executed numerous tasks and decisions. Though we all enjoy being a part of this little thing called Underground, our involvement does not come with little work. Nevertheless, compiling this journal felt a lot like connecting a creative community this year. This is one of our main goals with producing the journal. I hope that you acknowledge your own hard work as you complete the semester. We hope our party will offer a bit of relief. To those unable to attend, keep your head up; the end is near.